You won’t have any risky Chinese or Vietnamese adventures! That’s because Alumess has a Dutch German management with permanent presence in China and Vietnam. Better-quality casting in Asia. All casting technologies are economically organised in our factory. For all imaginable machining operations in our own factory. With Dutch management on site. Machining of aluminium extrusion profiles with a perfect finish. Producing safely and without worries in China or Vietnam with a Dutch foundry annex metalworking factory and with a Dutch partner on site. We offer custom manufacturing of high-quality aluminium, stainless steel and steel products that cost less but without the risks. Alumess produces on your behalf in China and Vietnam. Partnering with Alumess allows you to benefit from Western management and well-trained Asian employees. Your designs are 100% protected. For more than 60 years, Alumess has been dedicated to one mission: producing high-quality products while entering into long-term partnerships. In other words, we view our partnership with you as an investment! Another advantage? With Alumess, your ideas and designs (IP data) are protected and you can communicate in English, German, Dutch or French. In other words, producing in China or Vietnam doesn’t have to mean embarking on a risky venture. Alumess brings many casting and metalworking technologies under one roof. But that’s not all we do. We also take care of your manufacturing design, prototyping, perfect finishing and assembly. We combine our own production with smart procurement, allowing us to take a lot of work off your hands. 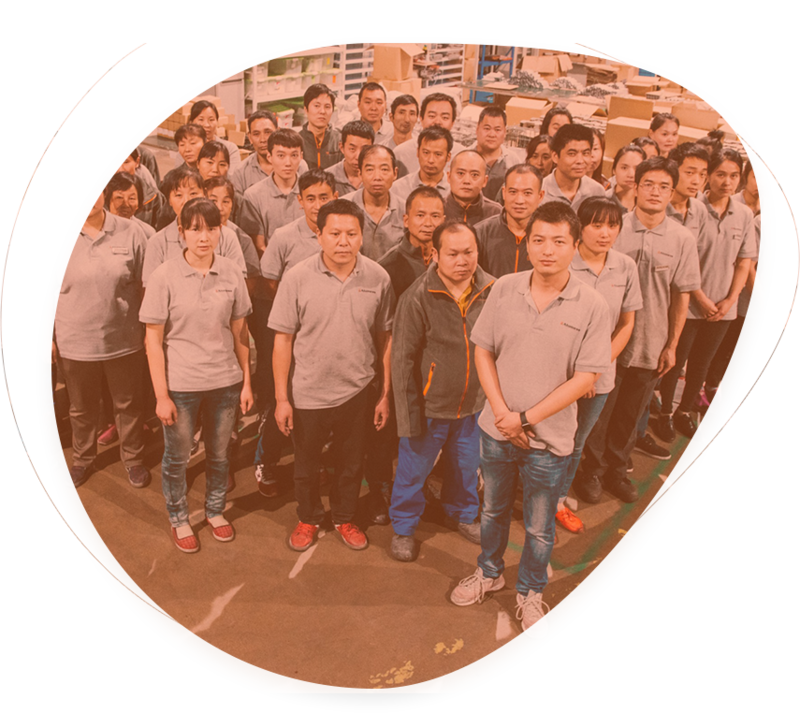 The staff of our procurement department (Dutch, German Chinese and Vietnamese) are all very well-versed in the China and Vietnam markets. By controlling the entire supply chain from raw materials, design, production and assembly to shipping, we’re able to offer products at lower prices. Would you like our production engineers to brainstorm intensively with you in developing semi-finished and finished products? Because that’s what we love to do. With our many years of in-depth collaboration with companies in mechanical engineering and equipment construction, the consumer market and automotive sector, we’re already very familiar with these industries and their specific needs.